On Monday, WeWork co-founder Adam Neumann announced in a blog post that his company had acquired the Flatiron School, a coding bootcamp and education platform that offers both remote and in-person courses. The deal was private, and financial details were not disclosed. The $20 bn communal workspace startup that has begun to defy definition plans to put their new acquisition to good use. 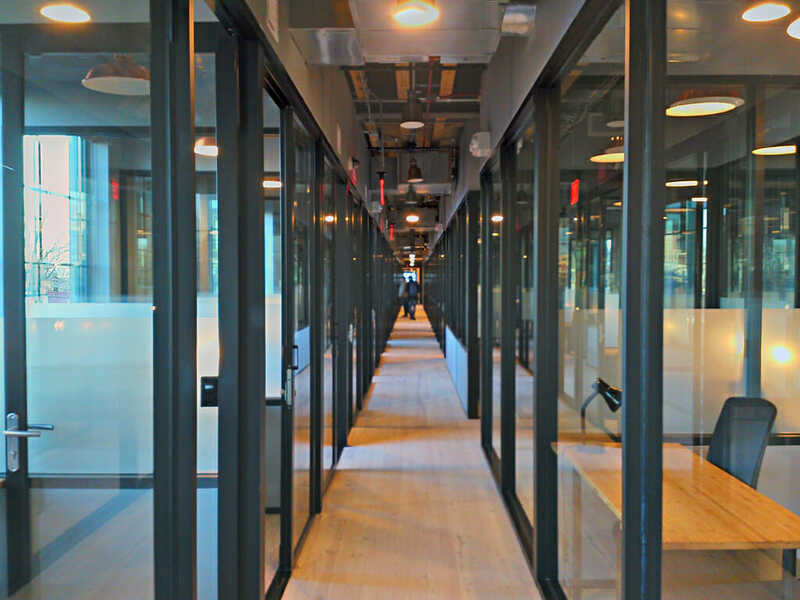 Both employees and WeWork members will now have access to Flatiron’s curriculum. The company also plans to enlarge Flatiron’s in-person course offerings at their numerous locations around the world. The news comes, by and large, from out of left field. For one, the Flatiron School just settled for $375,000 with New York State for misrepresenting their graduates’ job success and operating without a license. Flatiron’s reason for settling with the State of New York may be the tip of a regulatory iceberg. The coding boot camp was considered to have the some of the highest integrity among its peers. Cooked books and false reporting is practically a pandemic among boot camp advertising teams. But on a bigger scale, nobody is currently translating their eLearning initiatives into in-person programs. Actually, the opposite is happening. For-profit college campuses across the country are closing. MOOC providers and their successful for-profit analogs are growing like crazy. Besides industry trends, the Flatiron School used to operate on a tuition model. In-person students pay an astonishing $15,000 for 15 weeks. Online students pay an even more astonishing $1,500 per month, which tops off at $12,000. Remote students have the option to complete the course faster and pay less. The Flatiron School does not publish their enrollment numbers, but their 2017 reports (for both in-person and online courses) looked at fewer than 700 students. Switching to WeWork, therefore, will include pivoting to a new business model and scaling by several powers of ten. Coding boot camps also don’t seem to be the smartest investment at the moment. Several have closed recently, such as Dev Bootcamp, previously owned by Kaplan Inc. along with The Iron Yard, which had been a distressed asset of the notorious Twinky flipper Apollo Global Management. Again, the deal was private. We have a lot of questions. WeWork is already massive. Their total office space around the world comprises over 10 million square feet. The company’s 150,000+ members can access social events, workshops, an annual summer retreat, an internal social network, and even get discounts on health care. The company has recently launched WeLive, which offers furnished apartments for monthly rent, and Rise, a fitness space collective. At the WeWork Services Store, members can use products and services from companies like Adobe, UpWork, and Lyft from their WeWork account. Fast Company compared their latest acquisition to LinkedIn’s purchase of Lynda in 2015. “The idea was to make LinkedIn the one-stop shop for networking, job listings, and skilling up,” the authors write. That seems like solid rationale, but at the same time, WeWork faces a lot of challenges in making that vision a reality. My school just got Summit Learning this year and almost the whole grade is failing.